. استمتع بالخدمات الراقية والضيافة التي لا مثيل لها بهذا الفندق في بورت أوجوستا. هذه بعض الخدمات الموجودة في هذا الفندق: واي فاي مجاني في جميع الغرف, مرافق مخصصة لذوي الاحتياجات الخاصة, واي فاي في المناطق العامة, صف السيارات, خدمة الغرف. تتضمن كل غرف النزلاء وسائل الراحة والتسلية المصممة خصيصاً لضمان الراحة القصوى للضيوف. سواء كنت من محبي الرياضة أو كنت تتطلع لتفريغ عناء نهار صعب، ستجد خدمات ذات مستوى عالي بانتظارك كمثل حمام سباحة خارجي. إن Majestic Oasis Apartments هو خيارك لخدمة الفنادق الراقية في بورت أوجوستا. This is my forth visit to Majestic Oasis Apartments as we use it as a stopover when visiting our son and his family. The apartments are always spotless, bed is comfortable, and vey close to the shops to fill up on essentials when heading remote. Staff were friendly and check in and out was a very easy process. We stayed in 2 bedrooms apartment with everything we need. Clean and comfortable especially the balcony faces to the river which are so relaxing there. Staff are friendly and helpful. Security gates in the night time making the guests feel safe. Highly recommend Majestic Oasis Apartment in Port Augusta. 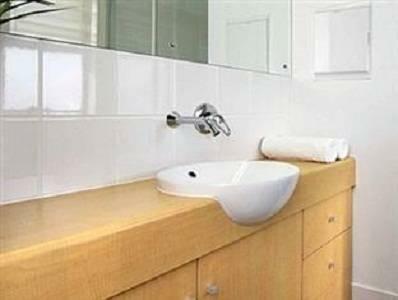 Beautiful apartments with access to the waterfront in Port Augusta. Small private complex which was easy to get around. BBQ's, tables and chairs outside rooms which all had a private deck area. Able to book dinner from local restaurants via the hotel and was brought direct to your room! Staff fenced off a parking area for us, as we advised we were bringing a trailer with us. Lovely pool area and beautiful planting throughout the grounds. All in all this was a fabulous stay and would return here if going through the area in the future. We checked in late but to our surprise the staff had turned on our heater so after a quick check-in we were greeted with a toasty warm room. The room was very clean and tea, coffee and milk were provided for a welcomed hot drink. The complex has great security and is close to shops to pick up any groceries. Enjoyed our stay. Lovely here. Pity we were only staying the one night as it was all very comfortable and enjoyable. No hesitation in recommending it to all. Nice pool area. Good location with estuary outlook and very handy to Woollies across the road and cafes. Also had the luxury of our own washing machine and dryer in the room as well as microwave, electric frypan and all that is needed in the way of utensils. Had trouble though cooking as the smoke alarm went off a couple of times. Value for money, modern and good location. 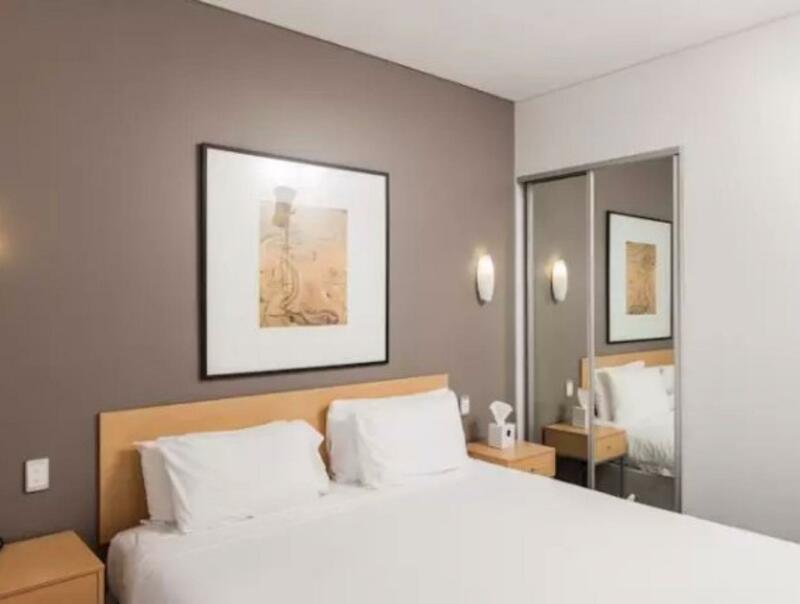 I have to visit Port Augusta a few times a year and have stayed in a number of hotels and honestly this is the only place to stay. It's a modern clean establishment and I will always stay here in future. We stayed 1 night here, everything was very nice. The room was not big, but u got a small kitchen n lungge. Very convenient. Plus good location. The only thing is there was a small dirty mark in toilet before we use it. Besides, we were really enjoying living here! Will visit again for sure! Thank you for your review, we appreciate your feedback. Majestic Oasis Apartments. 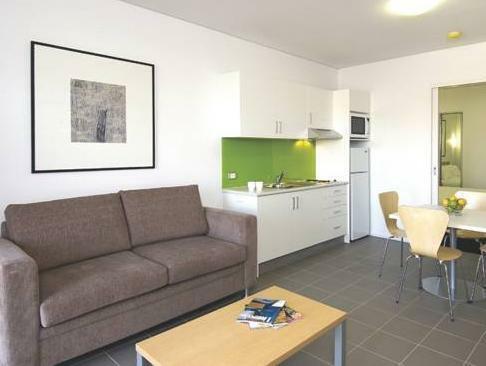 On our travels to central Australia and back we stayed at these apartments twice. Both times the facilities were everything we needed for a chance to rest and regroup. A chance to wash and repack. Supermarket, petrol station and shops were literally at your door. Pleasant water views to read a book on the verandah and great for morning walks. Many places we stayed lacked something but this place had everything. Would definitely recommend. This is our usual stopover on the way to our sons house. It is close to supermarket and restaurants. Our welcome this time was not as friendly as usual and felt as if it was a bother. The room however was super clean and warm on arrival. Bed comfortable and area quiet for a great nights rest after a long day travelling. Great place to stay especially if you have kids. Walking distance to the shops and main street. I absolutely love the fact that you have your own washung machine and dryer, saves fumbling around looking for coins and they even provide the washing powder! You also don't have to spend a heap on food, just pop down to the shops get what you need and you have your own kitchen down to the washing liquid. Very clean and tidy facilities, playground just behind the complex and a great swimming pool for those hot days. I absolutely look forward to staying here again! they give us a room full of mosquitoes. they already know it. after the cause identified, they did not say anything to apologize. The bathroom not tidy and clean. while I will not go this hotel anymore. 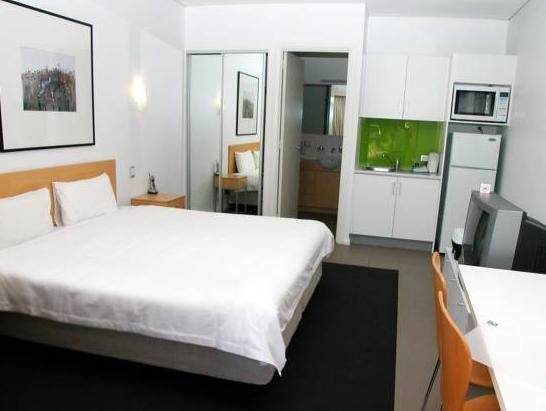 Very clean and comfortable good size rooms. Comfy bed and everything you need in kitchenette. Right in town opposite supermarket/shops. Our room overlooked water and had nice patio to sit. Staff very friendly and helpful. Would definitely stay again. 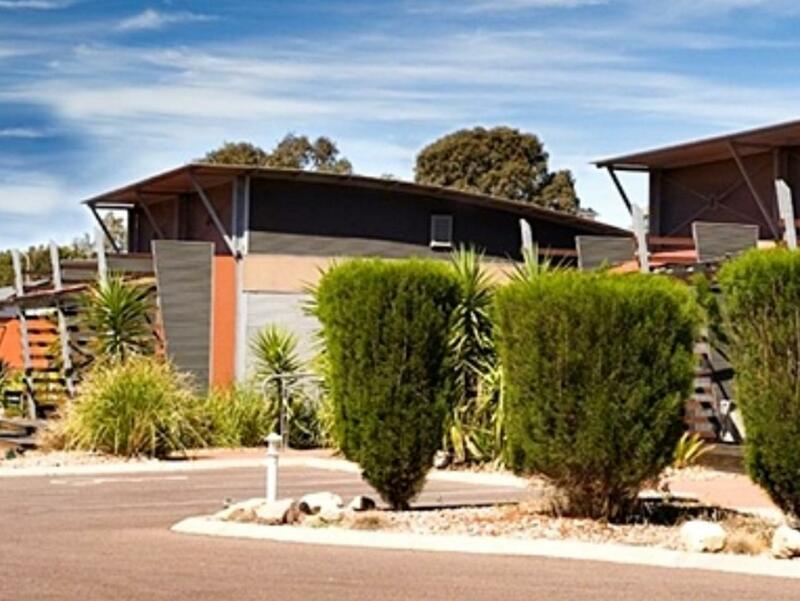 A very conveniently situated place to stay in Port Augusta. The apartment was clean and well presented and quiet. We appreciated the 11.00 am checkout instead of the usual 10.00 am. I would recommend this accommodation to anyone. Location is prime. The property is nicely secure with well kept pool and plenty of BBQs and seating for outdoor leisure. Staff were most courteous and responsive. It was a faultless and flawless weekend stay. We visit Port Augusta at least annually & after staying at most of the hotels in the area have now found "the"place to stay. 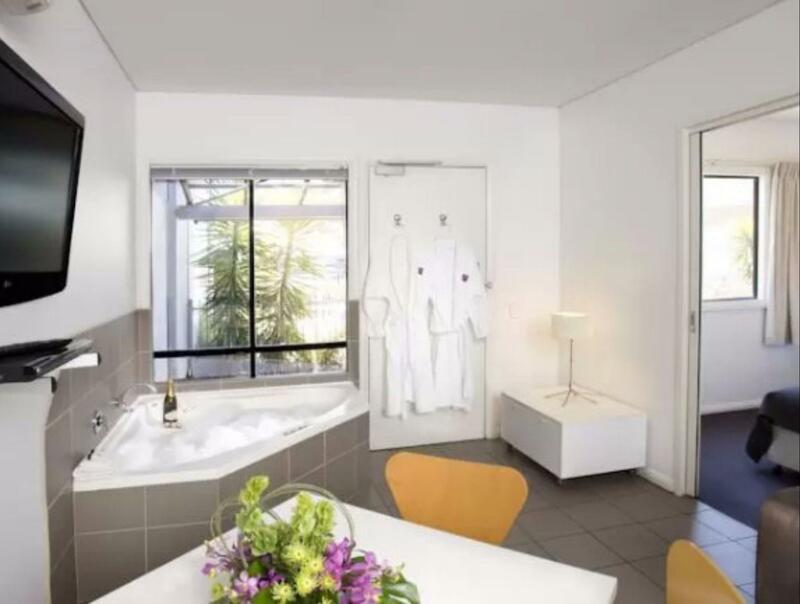 This is our 4th visit & we continue to be impressed with the staff friendliness, cleanliness & comfort of the units and the ease of check-in/out. We will be back! The only problem I had was that Google search was not helpful as it sends you to a dead end street. When you try to fi d it by address, the street names in the town seem non existent. When you finally fi d them on the kerbing, they are unreadable or completely obliterated. I spent a weary ti.me finding the etrance. However, I was v ery eased with the hotel once I found it! Spacious, modern and well appointed. Pool and BBQ areas are great, and apartment had nice views of the river from the verandah. Some features were a little worn/damaged e.g. sliding doors not closing, floor tiles cracked. Overall a comfortable, quiet place to stay. We really enjoyed the situation by the river, water views,ease of access to pool & extensive walking trails by the river. The rooms were well designed, really attractive & a feeling of generosity was evident in plentiful supplies in bathroom & kitchenette. The only flaw was a bad crack in the handbasin bowl We didn't eat at the hotel, there was no 'not applicable' category.